Prince in Montreal or Quebec City? Inform me about the next events for Prince. 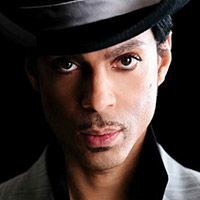 Enroll yourself to our priority waiting list for Prince to be alerted when new tickets are available. Filling this form doesn't engage you to any purchase. Prince will be back in Montreal on Monday March 21st, 2016 ! This time, he will be performing at Theatre Maisonneuve of La Place des Arts, twice on the same night : at 7pm and 10pm. This is a surprise last-minute concert for Prince in Montreal. Lately, he's been announcing his concerts at the last minute like that, exactly like he did last year (in May) when he announced a concert at the Bell Centre 3 days before the show. Don't miss the great Prince at Place des Arts !